BROSSARD, Que. 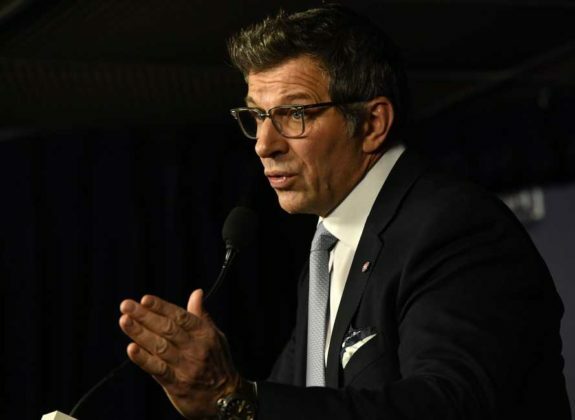 — Even if the Montreal Canadiens have already exceeded expectations this season, Marc Bergevin said Monday he’ll be disappointed if the club finds itself out of the playoffs at the end of the week. With three games left in the season, the Canadiens general manager is holding out hope the team he’s assembled will be able to climb back into a post-season berth. 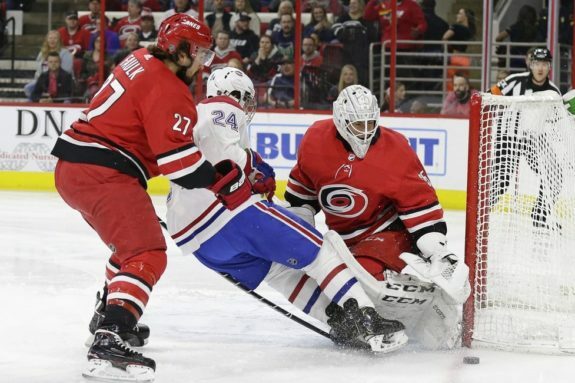 The Canadiens (42-29-8) are one point behind the Carolina Hurricanes and two points behind the Columbus Blue Jackets for one of two final wild-card spots in the Eastern Conference. Given their disastrous campaign in 2017-18, Bergevin appreciates the progress made by the team this year with a 21 point improvement in the standings thus far. But the club has been in tough in February and March and lost important games during that span, including regulation losses to the Hurricanes and Blue Jackets last week. “We’ve had our ups and downs, but if you look at the overall picture, we’ve come a long way from where we were a year ago, and that is what I will base my assessment of our team upon,” Bergevin told reporters at the club’s practice facility south of Montreal. He noted that while his team has lost games in the final minutes, so have the Blue Jackets and Hurricanes. The Canadiens face a difficult road to the playoffs, meeting three of the best teams in the league to end the season. 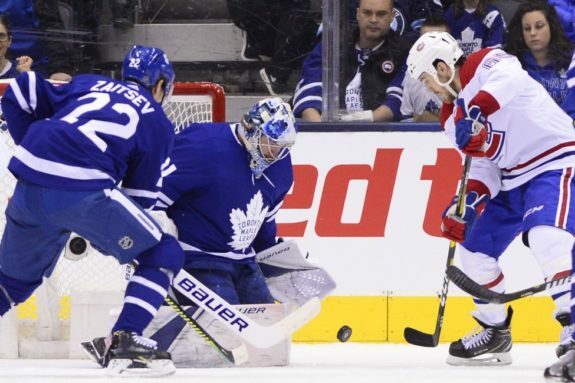 After taking on the league-leading Tampa Bay Lightning on Tuesday at the Bell Centre, the Canadiens will travel to Washington to take on the Capitals Thursday before rounding out the season against the Toronto Maple Leafs Saturday in Montreal. The Canadiens have a 1-4-3 record against those clubs this season. Forward Paul Byron was back on the ice on Monday with his teammates, less than a week after being left wobbly by an uppercut to the jaw in a fight with MacKenzie Weegar during the Canadiens’ 6-1 win over visiting Florida on Tuesday. His status remains uncertain for the Lightning matchup. Byron practised on the fourth line alongside Jesperi Kotkaniemi and Nate Thompson. Kotkaniemi, who was a healthy scratch Saturday during the a 3-1 win over the Winnipeg Jets, could return to the lineup. If both Byron and Kotkaniemi return, Nicolas Deslauriers and Matthew Peca would likely be scratched. NOTES: Forward Ryan Poehling, who signed his first contract with the Canadiens over the weekend, was expected to arrive in Montreal at the end of the day. Bergevin said the club’s first-round pick from 2017 wouldn’t be in the lineup on Tuesday and it would be up to head coach Claude Julien to decide if he would play in the final two games of the season. … Lightning, defenceman Victor Hedman (upper body) and goaltender Louis Domingue (lower body) were listed as doubtful against the Canadiens. Eddie Pasquale could find himself in the Lightning net at the Bell Centre with Andrei Vasilevskiy starting Monday against the Ottawa Senators.